Home / News / Now a Biopic on Super Star Krishna announced! Now a Biopic on Super Star Krishna announced! Looks like it's the season of biopics in Telugu Film Industry. After the successful Mahanati a biopic on actress Savitri, several of them are lined-up. Chiranjeevi's Sye Raa, Bala Krishna's NTR, and biopics on Kapil Dev, Pullela Gopichand and Jayalalithaa to name a few. The latest to join the list is a Biopic on Super Star Krishna. 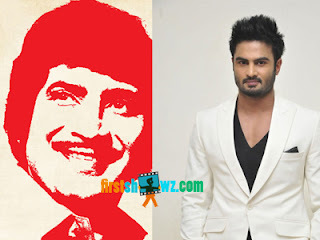 Actor Krishna's son-in-law and popular actor Sudheer Babu announced the film based on the glorious life and stardom of Superstar Krishna. In a recent promotional event of his film 'Nannu Dochukunduvate' in Vizag yesterday, Sudheer Babu informed that the Super Star's fans will soon get to know the details about the biopic movie soon. Sudheer Babu himself may produce the movie under his banner. On the other hand, Sudheer Babu will step into the shoes of Pullela Gopichand's role for the badminton champ's biopic.